Welcome to this Sophisticated, Renovated & Sleek 3BR/2BA Mid-Century Home! Property offers Unique Courtyard Entry That Is Perfect For Outdoor Activities! âSunkenâ Formal Living Room w/ Fireplace, Vaulted Beamed Ceilings All Drenched w/ Natural Light! Open Floor Plan Design Is An Entertainer's Delight, Incorporating Elaborate Kitchen w/ Breakfast Nook & Formal Dining Area. Bonus Family Room Allows For Variety Of Uses Including Possible âIn-Lawâ, Home Office or 4th Bedroom! Ample Sized Bedrooms with Luxury Master Suite w/ Extensively Remodeled Baths! 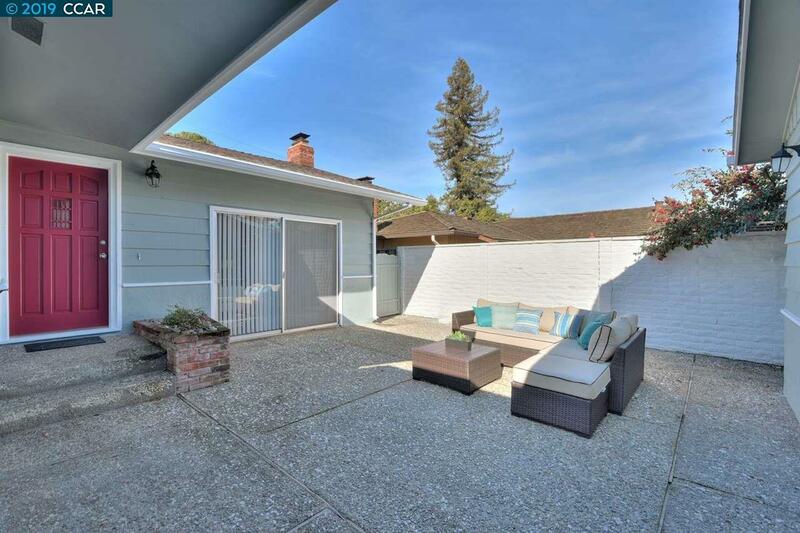 Refinished Hardwood Floors & Custom Millwork Makes This a âModernist Masterpiece!â Just Mins Away to I-80, K-Grove Park, SP Reservoir and Orinda!